Call center QA, or call center quality assurance, should be a cornerstone of the management of any call center. This is something you may hear a lot of buzz about, but it can be difficult to quantify and measure. In many cases, contact centers are not using call center QA fully or appropriately. Call center QA simply refers to the evaluation and measurement of performance in the call center. Most frequently, this is realized through the recording, monitoring, and scoring of customer interactions and the subsequent associate feedback loop. Best practices in call center QA help to ensure that the highest possible levels of customer service are being offered. What are the tangible benefits of call center QA? The most important benefit of call center QA is customer satisfaction. Call center quality assurance helps ensure that associates are handling customer interactions appropriately- that they are directing the call as needed, asking the right questions and giving the right answers, and providing efficient and friendly service. If this isn’t being done, or if customers are dissatisfied, call center quality assurance make it visible so the root cause can be identified and corrected. Call center quality assurance can also provide a wealth of data that can be used to improve the operational efficiency of the contact center. Information like call statistics and customer satisfaction surveys can be used to improve staffing, scripting, training, and more. How can my organization implement call center QA? 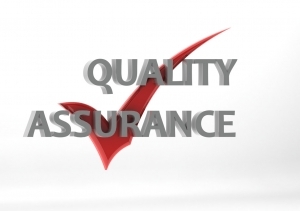 If your call center is not utilizing call center quality assurance, or if you are not getting as much out of your quality assurance practices as you would like, you may want to prioritize this crucial area. For many contact centers, utilizing call center monitoring software can support quality assurance initiatives. Call center monitoring software can automate the recording of calls, and can provide additional tools to help your contact center manage quality assurance on a more sophisticated level. If you want to streamline the efficiency and effectiveness of your call center operations, you need to make sure you have the most appropriate call center quality assurance software solution. To learn more, consider contacting Evaluate Quality. The expert team at Evaluate Quality in the Phoenix/Scottsdale AZ area can help you identify and design the solution that is right for your call center and your specific business objectives. Whether your contact center is located in Scottsdale, Phoenix AZ, or elsewhere in the United States, Evaluate Quality can be your partner for all of your quality assurance needs. The firm is experienced in creating solutions that are specific to their customer’s requirements. Contact Evaluate Quality now to schedule your no obligation demonstration.